Prime Minister Narendra Modi’s visit to the coastal Chinese city of Xiamen was important for several reasons. 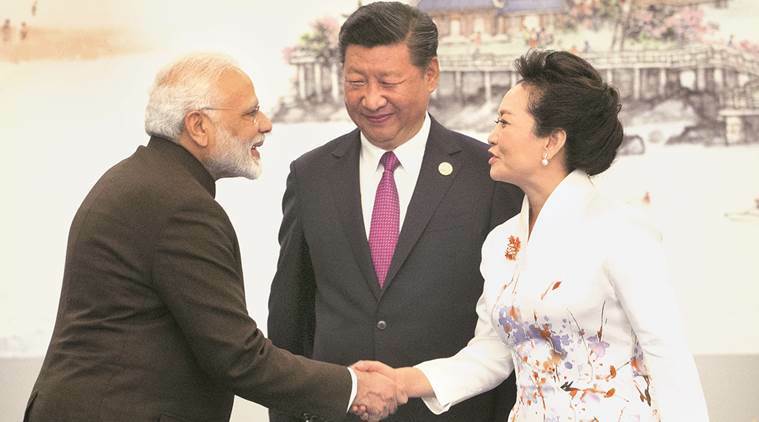 For one, this was the first time PM Modi and President Xi Jinping were meeting face-to-face since the standoff at Doklam, which saw an unprecedented sabre-ratting from the Chinese side. 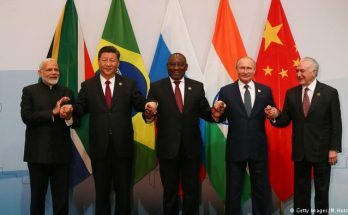 Scheduled ahead of the 19th Communist Party Congress, whose dates – beginning 18 October, 2017 – were announced just after the disengagement agreement, the 9th BRICS Summit – attended by the leaders of India, China, Russia, Brazil and South Africa – was showcased by Chinese President Xi Jinping as a platform for his global leadership. A combination of these circumstances, in addition to concerns expressed by the US and other powers, probably including Russia, the highly tense Korean peninsula and some quiet diplomacy by the Indian side led to the disengagement where the CBMs between the two armies firmly held, despite the jingoistic noises. On the eve of the Chinese Communist Party Congress, the Chinese leader’s sensitivity about his projection as a global leader, with the new US president becoming less globally engaged, remains a significant domestic political factor. The post-October emergent shape of the Chinese leadership would make considerable difference as to how stable global situation would be where India’s vital interests – and its multi-vector international relationships – remain at stake. Read more…. I also look forward to productive discussions and positive outcomes that will support the agenda of a stronger BRICS partnership under the chairmanship of China,” the Indian leader said. 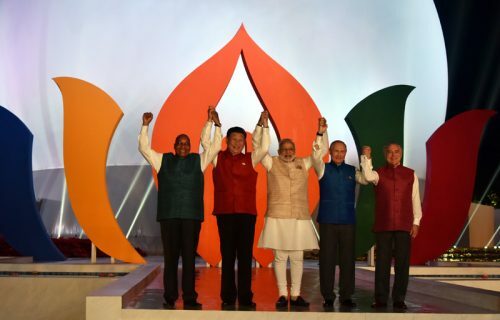 In his message, Mr Modi underscored the importance of BRICS as a force for upholding world peace, a veiled reference to the potential and role of the BRICS grouping as a platform for easing tensions between member countries. The 9th BRICS summit in Xiamen will mark the beginning of another decade of BRICS, with Chinese President Xi Jinping promising “a golden decade” of BRICS. 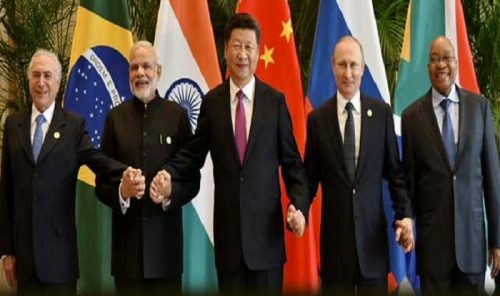 The Xiamen summit is expected to culminate in a vision statement for consolidation and expansion of the BRICS to entrench it as the most influential forum of emerging economies and South-South cooperation. Looking ahead, it seems the two emerging countries have decided to compartmentalize their bilateral relations and cooperation in pluralistic and multilateral forums like BRICS. In this regard, PM Modi’s bilateral talks with his Chinese host Xi Jinping on the sidelines of the BRICS summit will be crucial in mapping the way forward for this conflict-prone relationship between Asia’s leading economies. Seen in this context, the BRICS governments’ push to further institutionalise and consolidate their progress is an indication of the importance they still attach to the forum, and a decade since coming together, they seem poised to expand beyond being an economic grouping demanding a seat at the high table to substantial cooperation in other sectors.Within last year, BRICS countries greatly diversified their cooperation through working groups on counter terrorism, employment, environment, agriculture, health, economy and trade, education and vocational training, anti-corruption, infrastructure, information and communication technologies (ICTs), and energy. Indian diplomacy experienced an inflection point following the terrorist attack on September 18, 2016, at the Army encampment at Uri. Determined to raise costs for Pakistan to counter its strategy of bleeding India by a thousand cuts, the Indian government mounted an international campaign to paint Pakistan as a state-sponsor of global terrorism and to ‘isolate’ the country in the international community. Prime Minister’s remarks on terrorism, at the concluding session of BRICS summit, were aimed at Pakistan when he declared that combating terrorism, “including cross-border terrorism and its supporters”, will be a key BRICS priority. The Goa Declaration, issued by the summit leaders, contains the key elements of India’s counterterrorism narrative but is less direct on the issue of isolation. The BIMSTEC Outcome Document is even more satisfactory in terms of India’s counter-terrorism diplomacy. Aiming to impose costs on Pakistan for pursuing its ‘low cost’ strategy, Indian diplomacy has widened the diplomatic and military space, in its bilateral relations with Pakistan, to ratchet up the pressure especially as focused military action to Pakistani terrorist provocations has not been ruled out. Against the backdrop of incandescent international anger against terrorism, Pakistan cannot misread the signals originating from Goa. The 8th BRICS summit ended on a high note with the birth of new institutions and initiatives like a credit rating agency which is set to provide greater strategic traction and cohesion to this grouping of emerging powers. In many ways, the Goa summit was a festival of ideas as many of India-backed initiatives were endorsed and found reflection in an all-encompassing 109-para Goa Declaration. 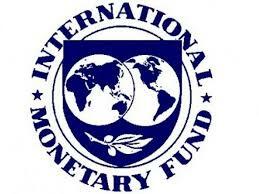 Sustainable institution building was the mantra that animated wide-ranging discussions between the leaders of India, China, Russia, Brazil and South Africa on October 16, with the five countries agreeing to set up a credit rating agency for emerging powers, BRICS Agriculture Research Platform and BRICS Railways Research Network and BRICS Sports Council. The 8th BRICS summit was also marked by a striking convergence of views on the imperative need to jointly combat terrorism, with the joint declaration emphatically stating that states should not allow their territory to be used for terrorism, a veiled reference to Pakistan. India tried hard to put explicit references to the Uri attack and cross-border terrorism – a shorthand for Pakistan’s use of terror against India – but it seems Pakistan’s powerful friend China was not in favour of naming and shaming in the joint declaration. India would have liked the Goa Declaration to specifically mention anti-India terror outfits like Jaish-e-Moahammed, Lashkar-e-Taiba and Hizbul Muzahideen, but in the end it was decided to focus on firming up a broad architecture of counter-terror cooperation in the BRICS. The Goa Action Plan has raised the bar for invigorating intra-BRICS cooperation across the spectrum, and should silence sceptics who are prone to scoff at the BRICS as a glorified talk shop. 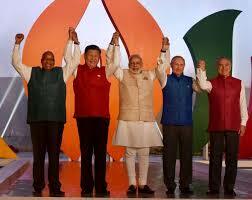 The BRICS is not only talking big, but is also thinking big, and walking the talk. Putting terrorism on top of the BRICS agenda, India’s Prime Minister Narendra launched a blistering attack on the “mother-ship of terrorism,” an all-too obvious reference to Pakistan, and exhorted emerging powers and the region to rally together in combating this scourge. “The most serious direct threat to our eco prosperity is terrorism; Tragically, its mother-ship is a country in India’s neighbourhood,” Mr Modi told leaders of other BRICS countries at the plenary of the 8thsummit of emerging powers at the majestic Dome of the Taj Exotica hotel in Benaulim.